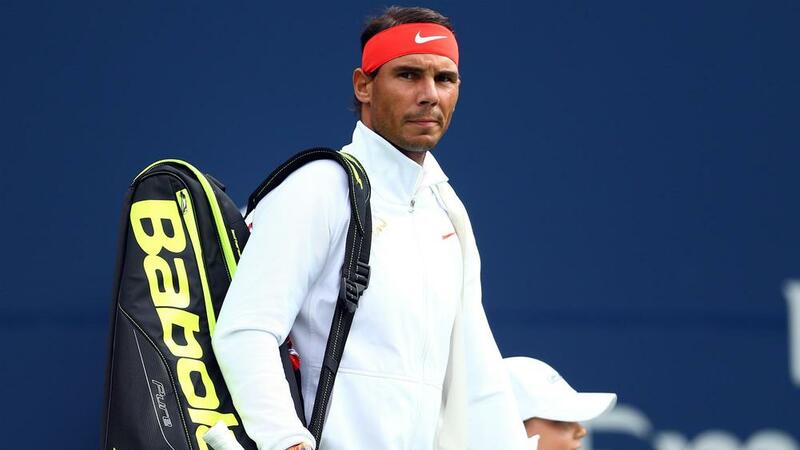 Rafael Nadal is confident that he is entering the US Open in good condition, despite the controversial decision to withdraw from the Cincinnati Open. Having won the Rogers Cup in Toronto, Nadal opted against continuing his hard-court preparation in Cincinnati, reportedly at the request of his coaching team. Despite heading to Flushing Meadows without having played a competitive match in two weeks, the world number one believes he made the right call. "It was preparation. [During Cincinnati] I was resting from competing, not resting from working," Nadal said. "Of course, it is important what happens before a grand slam. If you are playing well before, it is easier to play well in a grand slam. "At the same time, it's true that a few players are able to increase the level of concentration, the level of tennis, level of intensity in some places. If you have to do it, this is one of the places." Nadal will have tough competition for the title from fellow greats Roger Federer and Novak Djokovic, along with rising star Alexander Zverev, who is happy to be rivalling three of the best players in history. "You want to play and compete with the best players in the world. A grand slam is a grand slam, a historic tournament," said Zverev. "Having them back, all playing the best tennis again is what makes it special for all the ones that haven't won it yet."